Notes: Howard played in 48 varsity games, his team going 22-26 – 2-9, 3-8, 5-7 and 12-2… He finished with 4,793 yards of total offense and 46 career TDs… Howard’s 2,398 yards as a senior is a school single-season record, eclipsing a mark previously held by Chris Douglas (2,093 in 14 games in 1998) … Howard’s career total tops the all-time list at Bandys, breaking the 4,064 gained by Chris Spade in 2003-2004 in 29 games. 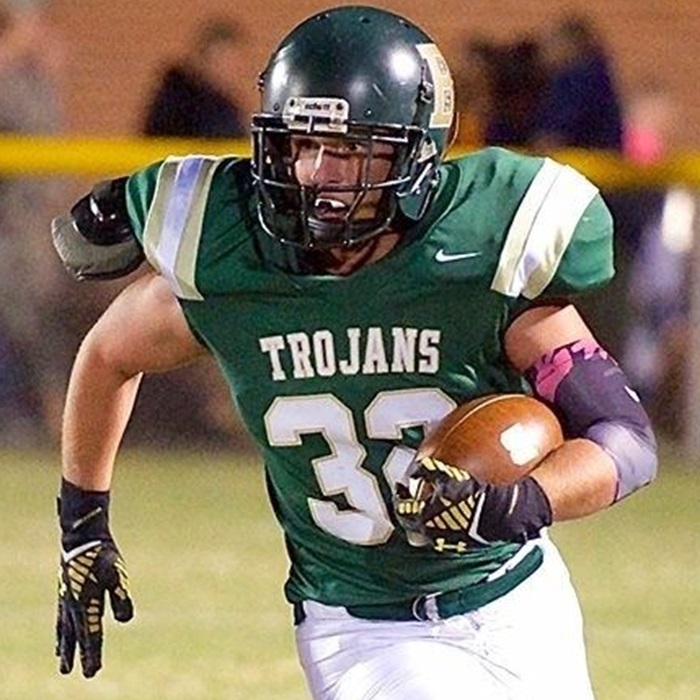 CATAWBA – Ethan Howard’s on-field sense that something felt right — an innate ability that helped him become the greatest rusher in Bandys High football history – also kicked in when he made a big off-field decision. Faced with a choice between two college football scholarship offers, Lenoir-Rhyne and Wingate, Howard has selected to play at LRU, he told HobbsDailyReport.com on Tuesday afternoon. He will officially sign with the Bears at a noon press conference on Wednesday in the weight room at Bandys. Feeling most at home with LRU’s offer to play a ‘B’ back in an option offense, with the idea of Micheal Ramseur as his position coach and liking the direction LRU’s football program appears headed, Howard said the choice was easy. “You can tell there is something special going on there, and I’m just glad to (soon) be a part of it,” Howard said. “I really like the system and the fact that I ran (in) the Wing-T my junior year. “I really bonded with the coaching staff. Ramseur, who will be in his second season as running backs coach at LRU in 2019, is a former star player at Maiden who played first at North Carolina and then at Mars Hill. In the same late January visit and workout at Moretz Stadium, Howard said he also spoke with LRU head coach Drew Cronic, who he had first met at a summer camp in 2018. Cronic sold Howard on playing for him with just a few words. “We’re gonna put rings on your fingers,” Howard said Cronic told him. Howard said he then put Wingate and LRU on a scale in his mind, sought advice from his parents (Mike and Christy) and began the process of figuring out where he wanted to play football and start work on his goal of becoming a history teacher and high school coach. Howard hopes to be college roommates with Bandys teammate Aaron Johnson, a defensive lineman who will sign with the Bears on Friday. Wingate made the first contact with Howard, just after the season, and he went there for a workout on Feb. 26. After an overnight visit, he said he received a football offer and was told he would play fullback. The next week, Howard went to LRU for a workout and to meet with coaches there. Three days after that, he said he received an email with an offer to play for the Bears. LRU went 12-2 last season, Cronic’s first there, and won the South Atlantic Conference (SAC championship). 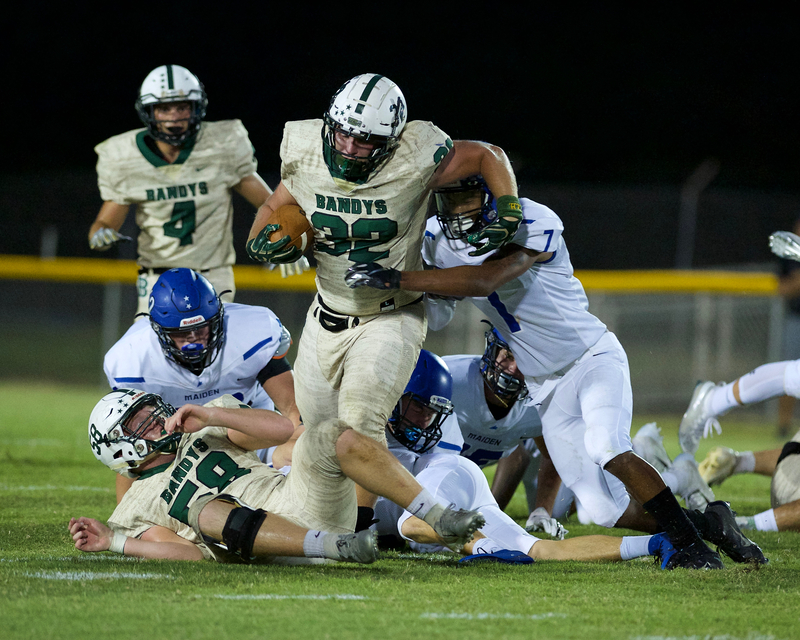 Howard said his senior season at Bandys was special — playing on a team (12-2) that won a South Fork 2A championship — and he will graduate in June as the school’s all-time leading rusher (656 carries for 4,633 yards with 45 rushing touchdowns in 48 varsity games). He also set the single-season rushing record with 306 carries for 2,398 yards and 26 rushing TDs and had 100 or more yards in 12 of 14 games. “The family I got to make there was unforgettable,” Howard said, noting that he came to the varsity as a freshman. “Just the time I spent with the guys, the different age groups … a bunch of different personalties. “It was a brotherhood for sure – if one gets knocked down, there were two there to pick him back up. It was always uplifting. Howard said he is spending time in the weight room and working out to get ready for the next level of football. Howard’s forte — as Bandys head coach Tom Eanes said last Saturday night at the team’s football banquet, was to say ‘hop on (my shoulders) and let’s ride this for as long and as far as we can’ – generated his spot in Trojans football history. His throw-back running style – making a cut when he sensed the timing was right or running over a defender or carrying sometimes as many as four or five of them – gained him regional notoriety on a team that rushed for 5,422 rushing yards (tops in all classifications in the state in 2018). Howard had 117 rushing yards as a freshman, 720 as a sophomore and then exploded for 3,796 on 535 carries (7.09 yards per carry), 38 rushing TDs and 20 games of 100 or more yards in his last 26 games. His season was highlighted by having former Duke star Chris Douglas (3,261 yards from 1997-1998), now living in the Washington, D.C., area and Chris Spade, now living in Mooresville (4,064 yards from 2003-2004), at the game when he broke Spade’s career rushing record. As a youth football player in the Bandys community, Howard would ride past Bandys’ Butler Stadium every day after practice, each time telling his mom (a receptionist at Bandys) that he would become the all-time leading rusher in school history. He is hoping his next one turns out just as well. Howard said his long-term goal — inspired by his exposure to history by middle school history teacher Mark Simmons — is to teach it while coaching at Bandys. Congrats to Ethan and Aaron ,We will miss you at Bandys but We will be there to support you guys at LR .